The Milwaukee Public Schools board unanimously approved a proposal at its July 26 meeting to reconfigure nine schools in the 53206 ZIP code. According to a plan presented to the board, a system of flagship schools — “state of the art,” rigorous, resource-packed and high-performing — will be established in fall 2019. North Division High School as well as Andrew S. Douglas, Auer Avenue, Hopkins-Lloyd Community, Gwen T. Jackson, Benjamin Franklin, LaFollette, Keefe Avenue and Green Bay Avenue elementary schools are included in the 53206 Initiative. Two non-traditional schools in the ZIP code are not involved. Douglas and Keefe schools will co-locate at Keefe, 1618 W. Keefe Ave., during the upcoming school year. The two will remain separate entities, while Douglas’ facility at 3620 N. 18th St. is renovated into a middle school. Beginning in fall 2019, all of the elementary schools, and the new middle school, will feed into North Division. In addition, Green Bay Avenue School, 3872 N. 8th St., will serve as the “success center” for all schools in the district. The center will be staffed with teachers and counselors who will provide supportive services and utilize restorative justice practices as an alternative to suspensions. “We want to pool together resources in  to ensure that our children are getting exactly what they need, when they need it. In order to do that, we had to look into our school settings,” said Keith P. Posley, MPS interim superintendent. Maricha Harris, special assistant to the superintendent, and Katrice Cotton, MPS interim chief of administration, outlined the initiative’s five goals at the board meeting: to increase academic achievement and accountability; improve district and school culture; develop staff; ensure fiscal responsibility and transparency; and strengthen communication and collaboration. 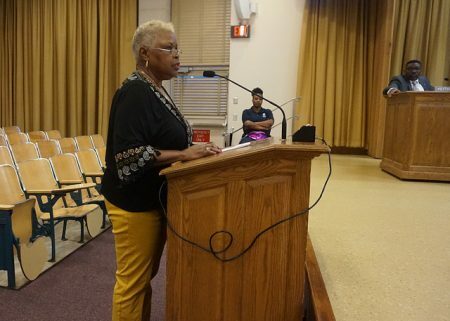 “I think [the plan] is radical, drastic and what we need,” stated Yvonne McCaskill, president of North Division’s Alumni Association. McCaskill noted that the initiative will simultaneously support North Division High School and its surrounding schools, unlike previous initiatives in the area. MPS has not had a feeder school system on the North Side. 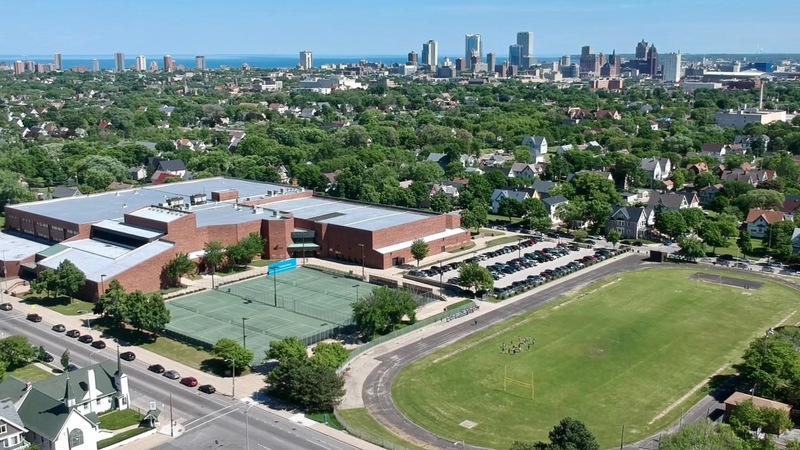 “We have strong feeder school patterns on the South Side of Milwaukee, and we are creating this so that we have strong pipelines of schools on the North Side as well,” said Cotton. James Green, North Division Alumni Association vice president, believes that the feeder system will increase enrollment at the high school and incentivize more investment and development. For example, North Division’s science labs could promote “green” education and urban farming, and its extracurricular activities could develop students’ leadership skills if the school receives more financial support, Green said. North Division also is slated to become one of 10 MPS community schools in the fall, under the Milwaukee Community Schools Partnership. Community schools provide academic supports, social and emotional learning, health and wellness, and family and community engagement, according to the United Way of Greater Milwaukee and Waukesha County, which is taking a leadership role in the partnership. School board director Terry Falk added that the board is awaiting details about how the initiative will address issues such as childcare, prenatal care and nutrition. “People are frustrated with MPS not prioritizing North Division throughout the last 20+ years. [MPS has] many ideas but does not offer resources to move things along,” according to Green. McCaskill added that the administration needs buy-in from parents and teachers for the initiative to succeed. She recommended presenting data that supports the plan to community members, parents and other stakeholders. For example, MPS projects that 2,610 students will enroll in 53206 schools for the upcoming school year. Their capacity is 6,089, and 4,833 students reside in the ZIP code. Auer, Franklin, Hopkins-Lloyd, Keefe and LaFollette elementary schools all rated “fails to meet expectations,” the lowest rating on a scale of five, on the Wisconsin Department of Public Instruction report card for the 2016-7 academic year. Jackson was rated “meets few expectations,” the second lowest rating. North Division had the lowest overall score of all the 53206 schools. According to Posley, the administration consulted with a number of organizations when putting together the initiative. These included the Walnut Way Conservation Corp., United Way of Greater Milwaukee and Waukesha County, Northwestern Mutual, Running Rebels Community Organization, Safe & Sound as well as city representatives. I hope this effort leads to a collective will by the stake holders to ” Make North Division Great Again”. The community school concept should include a “parent education” component. We can do this. Nothing can stop us but “us”. A great opportunity to do great things.